Wallace L. Collins is a unit supervisor at Connecticut's only juvenile training school. He holds a Bachelor of Science Degree in Criminal Justice with a concentration in Juvenile Justice from the Elizabeth City State University, Elizabeth City, NC. Also, Mr. Collins is a Certified Leadership Parenting Coach. His certification was acquired in 2009 through John Rosemond's Leadership Parenting Institute, Gastonia, NC. Mr. Collins is the sole proprietor of Collins Parent Coaching, LLC. His goal is to encourage mothers and fathers to parent with confidence evidenced by giving them the tools to discipline with love, leadership and a caring parental authority. With the right attitude, parenting does not have to be challenging. Collins Parent Coaching, LLC is designed to assist parents in raising respectful, resourceful, responsible adults. Wallace is married with a 10 year old and an adult daughter. 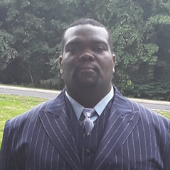 He is a deacon at Faith Christian Assembly, Middletown, CT. Mr. Collins is an executive board member of Streetfire Ministries, Inc. 501(c) 3. He volunteers in food service with The Hartford Project as they do community service projects in the city of Hartford, CT. You can find Wallace most weekends volunteering at St. Vincent DePaul’s Place (soup kitchen) in Middletown, CT.